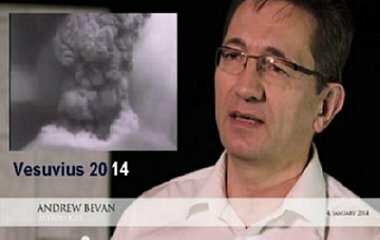 Skyscript.co.uk :: View topic - The Vesuvius Project - An Eruption Due? The Vesuvius Project - An Eruption Due? Posted: Mon Feb 03, 2014 3:27 pm Post subject: The Vesuvius Project - An Eruption Due? While the Solar Eclipse of Oct 23. 2014 suggests either 2014 or 2015, the lunation of August 10. says it could be already this summer. This is the starting point for a project that recently has resulted in a small video presentation that has been released on Youtube. I hope Skyscript readers don't mind me showing where the project stands and maybe we can discuss various problems and aspects that occur. The project has a website (link) or maybe more conveniently at http://www.regulus.no. Here there is more background material on the problem, together with links to other youtube videos where scientists are explaining the problem. Note in particular the video with Professor Benedetto de Vivo of the Naples University (Link), who explains the problems and hazards with an eruption in a very blunt and honest manner. There is also a link to a website that monitors the seismic activity on Mount Vesuvius real-time (Link). The reasons for making this video are many. It began in 2010 when I was asked whether I could estimate when the Europe's most feared volcano, Vesuvius, would erupt again - so a study began. In December 2013 a small production team showed interest for the project and decided that a video would be interesting, to document a documentation before anything happened, so to speak. One reason for making the video is that scientists know and fear that a future eruption will occur (they actually say that it is overdue) and has the potential of causing great damage, but they don't know when. What the study does is track the history of the volcano according to astronomical and astrological patterns, which unveils a possible pattern that gives call for a heightened level of preparedness. This could be useful at any measure. For people who are responsible for monitoring the volcano or responsible for public security, responsetime may be reduced and human lives may be saved. For the project to have any plausability, it is essential to go public before any indication of that the volcano in fact could erupt. What I actually want to acheive is to get scientists and seismologist to watch for the signs that could indicate that something is on the brew. As pointed out, scientists are already monitoring for signals, but the eruption may come suddenly - not allowing enough time for an evacuation, so authorities will be glad for all time they can win. From an astrological point of view it is important to tell scientists to monitor for warning signals before they occur. This, I believe, is a way in which such a cooperation could work in a best manner, and there would be nothing gained in waiting until the mountain started grumbling - and then come running and saying "that's what I expected." - Then there would be nothing gained. Note: This chart is calculated according to the recent advancement in Astrocalc Software, which includes NASA's estimates of DeltaT from 2007. The Solar Eclipse of October 23. is the major warning of potential trouble, and notice the angular Uranus and the Moon's South Node in Aries. This is a weak point and what do pyroclastic volcanoes do? The collapse. Notice Jupiter at 19LE26. The Full Moon of August 10. may offer a trigger to the event. It occurs at 18AQ03 and is angular with the Sun and Moon stretched across the horizon. But that is not all - the lunation is also involved in a tight T-square with Saturn in Scorpio. For more material and observations, please visit the project website. The next step of the project is to send the presentation into scientists and local authorities to try and arise a discussion or heightened degree of awareness amoung those it may concern. Not every response has to be abundiant, but really they should be happy. Astrology has been used to draw attention to and sell so many silly magazines over the years, that if the project draws some attention and interest to the work of the scientists and security personell then they should be quite happy of it. Now I am not suggesting a mass pannic or that an evacuation should be started before such need could be underlined with scientific evidence, but some people who are concerned about the security of their children might consider the options in the case of a situation with sudden need. Experts and authorities know there could be trouble, but they don't know when. They don't have to understand the rational behind the cosmological and they don't even have to agree, but it might still come as a useful tool that directs their own work - and the driving factor of everyone involved is securing and safety of lives. I don't know whether a prediction of this magnitude has been documented in this manner before, but I feel that the time and occasion is right to have a discussion of the potential usefulness of astrology and how problems that occur in association with this can be solved. I notice in the press recent eruptions on Etna, in Ecuador and Indonesia. It is all topical, but I hope no one thinks I just tried to throw myself into the flow of events, as this project has been assembled over several years. Small error: 78 24. Oct was a annular eclipse. Total eclipse was one before same year on 30. April! The Uranus Line AS was at this time (Okt) very close to Vesuvius. Who is working with Munanastrology and ACG, can understand what this means. a would also use the Solar Eclipse before. Anyway, there are some funny troubles. �Correct Time� with astrology-program is 9 h 18 . And than in ACG it looks like this! Fred Espenack, Mr. Eclipse, who calculates the eclipses for NASA, implemented new values for DeltaT in 2007, something that appears to be overlooked in most astrological software. Except Astrolocalc, as far as I know, has entered these values as a standard into their most recent updates. I am sure this is going to cause some discussion and confusion as we examine historical charts, but I am most grateful to Astrocalc and Joachim Schramm for solving the software problem. Also to Espenack, of course, for his life-long dedicaion to the study of the astonomy of eclipses. You are of course correct that the October 24. 78 AD was an annular eclipse, which is 'like a total eclipse only that the Moon is to far distant the Sun for to cover up the Solar disc' and the total shaddow of the Moon does not meet with the Earth's surface but it somewhere up there in the above. You are correct on detail, and my pen probably only slipped in all the details, because the annuar eclipse is probably only even more interesting, because it separates it from others. I have observations where annular eclipses point themselves out. They have a hole in the middle, as it were. But another interesting feature with the October 23. 2014 eclipse is the allignment with Venus, who is dispositor of the Moon's North Node, and who is entering cazimi. Here I have examples of important collective events where there are significant 'changes at the top', in leadership or a reshuffling of thrones, yet I have not had opportunity to monitor an example where the dispositor of the nodes was applying to a Sun that also was a lunation or eclipse. I would also like to discuss the problems that the project's forecast raises. Are scientists happy about it? Is it a plausable test? Are astrologers happy about it? How is the information supposed to be used? Can the information be used in a constructive fashion without necessarily having to tear the house down? If astrologers are not happy with the project, what are we about and in which manner do we expect to press ahead? ( http://www.planetarium-wien.at/astronomie_urania.html ) and the Planetarium in Vienna. He also worked with Jean Meeus; they made the the printing convolute �Canon of Solar Eclipses� (also Moon..) from -2003- +2526; the first work with the new computer-technic in this time (about 1990) And following in the tradition of the Canon from Oppolzer! I know Prof. Mucke and I am a member of his founded Astronomical society. But now to the project. I think its a good conception to work or research with others and without aversion to (our) a not approved science. In other words to make a crossover in science. I hope this will be a model for the future! But also we need to work in our area with other astrologer together. Now it looks like that everybody new reinvent the wheel. Or there are some leaders with there followers and outside for them is nothing! Thank you, Wolfgang! I have thought this problem very carefully through before moving ahead with it. Why, even astrologers might have objections - and we should discuss these aspects, too. In any case the matter has to be addressed with prudence and in a down to Earth manner. The scientists and authorities KNOW this problem is going to hit them sooner or later, and they really need a lead that 1) can give them and indication to a critical moment, and 2) they need some attention to their own cause. I feel that astrology can come close to being useful here, attracting some attention to the problem itself and things people should be thinking through, but handing it to the seismologist to monitor for the scientific evidence and say that there is no need to enduce a mass-evacuation before this evidence is there. But all the same, some sort of preparedness and checking of routines is a healthy thing, and the system is likely to either be asleep or rusty - because Vesuvius hasn't erupted for 70 years, and the eruption is already overdue. I might get to posting the charts on the Saros and other eruptions as we get into the thread. Another interesting study is the eclipses close to the first degree of Scorpio, which follow the Metonic cycle for a while before a pause and then another series of 'metonic eclipses'. And another feature relates to the triggering lunations, where 19 Leo appears again and again. This is not something that occurs 'every time round' but is decided by the apparent movement of the Moon which is decided according to the distance between the Moon and Earth. I would like to advise you on my observations and cyclic studies on the behaviour or your local volcano, Vesuvius, which I understand according to a documentary from 2007 by Anne Maria Nicholsen, and including Prof. Benedetto De Vivo, represents a serious problem and threat to the population in your area. I also understand that there is a state of regional preparedness in view of these dangers, but that the problem is knowing when such a situation should occur. My observations and experience gathered over 25 years argue there is reason to fear activity from Vesuvius in 2014-15, but that the most immediate cyclic patterns and trigger appear to be placed in August 2014, with a highlighted indication of disturbance in the days or weeks situated immediately before or after August 10. I would argue, and agree with De Vivo, in that any evacuation or practical operation should be supported by hard facts, as may be gathered the Vesuvius observatory � but the whole problem seems to be the time issue here, and maybe the lack of time to muster an evacuation if a worst case scenariou should occur. So my endeavor is to alert experts and responsible authorites that from the 2nd half of July 2014 the technical signals may be given, and if such should occur then there is no need to waste valuable time in trying to negotiate the situation. In my mind, without causing additional public alarm, pencils should be sharpened and the necessary tools close at hand � so that security plans, i.e. an evacuation of civilians, may be mobilized and put into operation within short notice. It is necessary to add that my technique of cyclic motion is not incorporated into the current scientific midstream fashion of thinking, but this may be found shocking in terms of the results and advancements that can be documented. It is my conviction that even if you want to take into account a certain 'error margin', my documented results are still significant enough to raise a level of awareness. Three million civilians may be involved and here science does not lie � when the volcano does tick off, the only thing to do is to get out of its way. The mathematics involved are complex, but in simple terms come down to variations and combinations of 19yr and 12yr cycles. This means that several years would pass before the stress I am monitoring would seem to peak again. The historical research on charts dating back to 79 AD was made possible due to mathematical improvements on the theory of Geocentric motion as implemented by NASA in 2007. I would be happy to debate the strengths and weaknesses of my findings, and also the options. In addition I intend to monitor for phenomena that may add substance to my theory. But I find it my civil responsibility to notify you of my participation and that I intend to take part in a forthcoming discussion. PS to Skyscript members: The DeltaT values of Espenack have been included in the most recent version of Astrocalc software and are not thought included in any other astrological computation product of this date. The idea that astrology might have an influence on some natural phenomena (volcanism, earthquakes..) is not new to me. I think that any opinion is welcome as far as it is based on solid scientific method. Do I understand that you think that in 2014 there might be an eruption at Vesuvius? Frankly I cannot see, any reason for such deterministic view. Considering the ciclicity of Vesuvius eruptions, either after 1944 eruption, the volcano has entered in a repose period which might last centuries, or viceversa an eruption might happens any time. This is the big issue. Certainly I do not have an answer to the above question. My response to this reply is that it is both amicable and open-minded, yet with the correct reserve, in view of the accademic differences and challenges that lie ahead in terms of moving forward if to make use of both scientific and astrological prognostic perspectives. The challenges lies in astrology proving its case and usefulness. Science is limited to declaring the obvious and inevitable hazard, but had no possibility of lying ahead of events. And Astrology as a tool to understanding the cycles of nature is not yet readily proven or understood. Last night, on June 23. 2014, there was an 8,0 Richter Scale earthquake outside the coast of Alaska. This occurs 45 days (+/- 19hrs) ahead of the Full Moon due on August 10. and is an important indicator of the tension relating to this luminary. In several posts and articles I have tried to explain how seismic phenomena often moved according to a 45� or 90� fashion. A tangible example would be the 7,0 Richter Earthquake that hit Haiti on Jan 12. 2010, followed by the 8,8 Richter Earthquake that hit Chile on Feb 27. 2010 (45 days later), followed by the eruption of the volcano Eyjafjallaj�kull on Iceland on April 14. and 10.000 people being injured in an Earthquake in China on the very same day (45 days after Chile, 90 days after Haiti). As a matter of fact, my ability to recognize these patterns and offer a warning does not prove anything before the scientific facts, but by presenting these observations to scientists that might be able to detect motions in the Earth's mantle at the earliest possible time and respond swiftly to these observations. This is the state of our sciences at the moment. My postulate is that astrological observations of cyclic motions should be a part of the equation. I am not looking for creating either a pannic or an embarrassment. In regards to the above chart that shows the 8,0 Richter Earthquake in Alaska, notice the Sun that is 45� ahead of the Full Moon with the Sun at 18LE02. Notice Saturn on the IC, which will be the focal planet of a T-square with the luminaries on August 10. Update August 25: Stromboli, Iceland, Northern California and more. The month of June contained two 2,3 Richter sized earthquake, which were the two largest earthquake to have been registered at Mount Vesuvius for over a year. In the 2nd half of July, when Jupiter entered Leo, there was a 300% increase in the number of minor earthquake registered on the top of the volcano. This was in agreement with the forecast that mantel could be on the move from this point, yet without further escalation there was no evidence of an eruption. Jupiter will be in the 19LE26 during the Solar Eclipse of October 23. 2014. Etna on Sicilia has been bubbling away for some time. Yet, Stromboli, which is an Italian stratovolcano located some 200 km South of Vesuvius did erupt emitting lava and providing new material on August 6-12., which is on those dates close located in relation to the potential trigger defined by the Full Moon on August 10. However, this eruption is not of the same scale and does not represent the same hazard or risk in comparison to what would be the case if Vesuvius did. The Metrological institute of Iceland declared an eruption of the volcano B�r�arbunga on Iceland on August 23, only hours after the Sun entered the sign of Virgo. This replicates the conditions and position of the Sun when Vesuvius has its Pompeian eruption on August 23. 79 A.D. The last eruption of B�r�arbunga was in 1797 by the way, so this is not an everyday happening and the problem is seemingly still in it's early stages. This is an incoming story and we do not have an overview of any damage or casualities at this point. 6,1 Richter Earthquake, San Francisco, August 24. The Moon is in the 19th degree of Leo, which is an essential degree that has been argued to be connected with some spectacular seismic activity and which has been emphasised in relation to the Vesuvius project. The Lunar placement in 18LE32 is in a close opposition to it's location in the preceeding syzygy at 18AQ03 - and is in fact in the position of the Sun in this lunation. Because things are moving fast, it will still take some time to get an overview of all the material and details. I am also hoping to get a comment from a seismologist on the shortcomings, yet the potential value in relation to the current cohering activity. I am not quite sure why Vesuvius seems to be acting as an index or a primer for other similar activity at the moment, but it seems reasonable to review the observations made and do some remodeling that might give reason for a watch further down the line. Does anyone have a chart for San Francisco? thanks for sharing your work and observations here. thanks also for the overview and data on this most recent earthquake in the northern california area. i might have known about morrison's prediction from a long time ago, but i had forgotten that. what i was unaware of was his making a connection back to the gemini rising chart for the usa..
have you ever tried to based any of your mundane predictions - earthquakes or otherwise - on a national chart for a country? i hadn't seen your video from earlier in the year until today. it is well done and you ought to be proud of putting that down in such a professional manner. even if your prediction on mount vesuvius doesn't pan out, it is still a fascinating read all of what is happening in and around both your dates and locations! fleur - i recall someone having a chart for san francisco, but i don't have it.. might continue to ask around or try getting penfields book of charts on cities in the usa.. Here is a chart for San Francisco.